« “Forgotten Hollywood”- A Return to Natalie Wood’s Death! 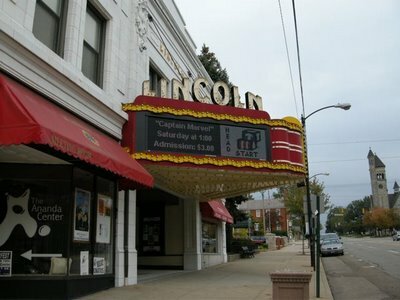 Historic movie theaters across the country are kicking off the Holiday season by presenting classic films. Here’s a representative sampling of screenings taking place. 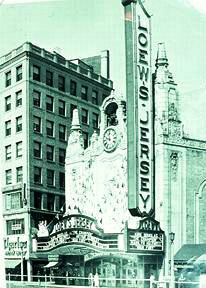 Built at what was then the impressive sum of $2 million dollars, the Loew’s was accurately called as “the most lavish temple of entertainment in New Jersey.” It was also one of the state’s biggest theatres, with just under 3,100 seats. Most of the stars of the 1930s that entertained at the Loew’s; legendary performers – Duke Ellington, Bing Crosby, Jean Harlow, Burns and Allen, Bing Crosby, Bill Robinson, Jack Benny, Bob Hope, Cab Calloway, to name just a few. 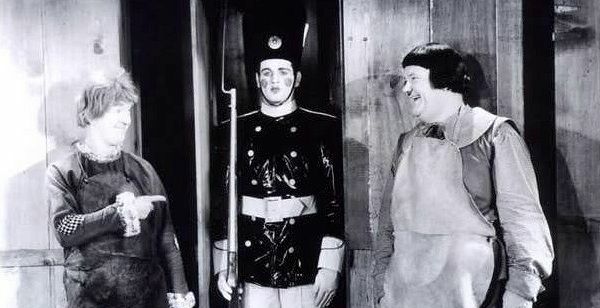 On Friday, December 9th, the Loew’s will air the seldom seen Babes in Toyland (aka March of the Wooden Soldiers), starring Laurel and Hardy. The one-time screening will play at 8p. 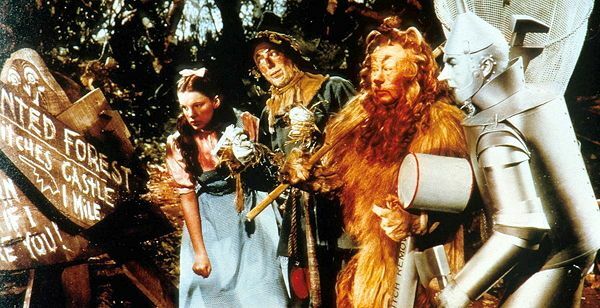 On Saturday, December 10th, The Wizard of Oz will screen to a packed house at 6:30p. The inner foyer’s “canopy of gold” arched tile ceiling was patterned after St. Mark’s Cathedral in Venice, Italy. Though the front of Hershey Theatre’s house is magnificent, its heart lies backstage, where the magic is created. 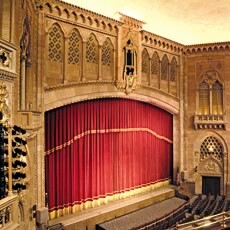 The theatre’s historic four-manual, 78-rank Aeolian-Skinner concert organ was commissioned by Milton Hershey. 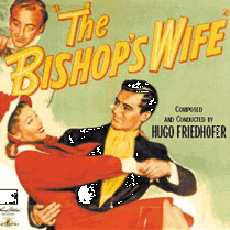 The Bishop’s Wife will screen on Friday, November 25th. Starring Cary Grant, Loretta Young and David Niven, this comedic fantasy is an Oscar-winner. The delightful cast also includes Elsa Lanchester, Monty Woolley, James Gleason, Gladys Cooper, and Regis Toomey. A short concert on the theatre’s Aeolian-Skinner Organ will precede the film at 7:00 PM. The summer of 2008 saw the theatre change its format to a totally classic film schedule. The crowds have returned and the future looks bright. On Friday, Saturday and Sunday, you will find your favorite movies and the stars that made those movies great back on the Silver Screen where they belong. Two dependable Holiday classics will kick off the season. Miracle on 34th Street is on tap from November 25th-27th. Edmund Gwenn won an Oscar for playing Kris Kringle. This gem also stars Maureen O’Hara, John Payne, William Frawley, and Natalie Wood. 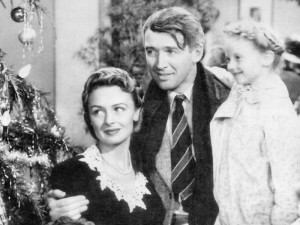 Enjoy It’s a Wonderful Life on the big screenthe following weekend. The cast includes James Stewart, Donna Reed, Lionel Barrymore, Ward Bond, Thomas Mitchell, Gloria Grahame, and Frank Faylen. You can’t beat a cinematic classic to put you in the mood for the Holidays. This entry was posted on Tuesday, November 22nd, 2011 at 2:05 am	and is filed under Blog by Manny Pacheco. You can follow any comments to this post through the RSS 2.0 feed. Responses are currently closed, but you can trackback from your own site.